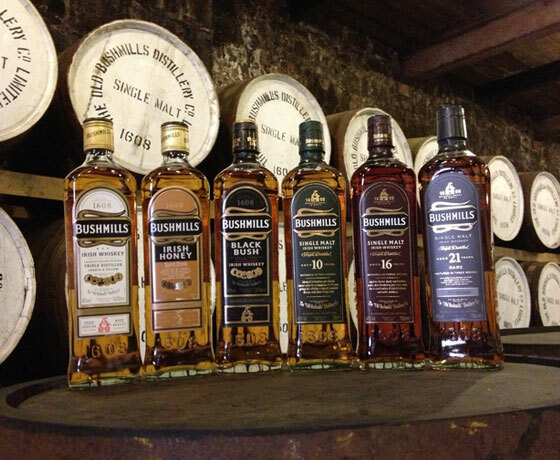 Morning – Have breakfast and set out for the North Coast, taking in some of the most scenic counties in Ireland. 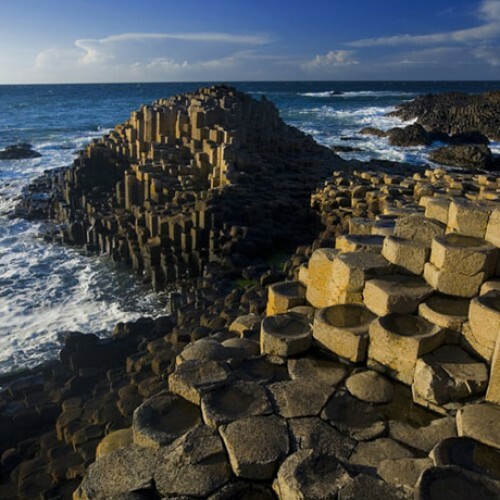 Afternoon – First you will visit the world famous Giant’s Causeway, the seventh wonder of the world. 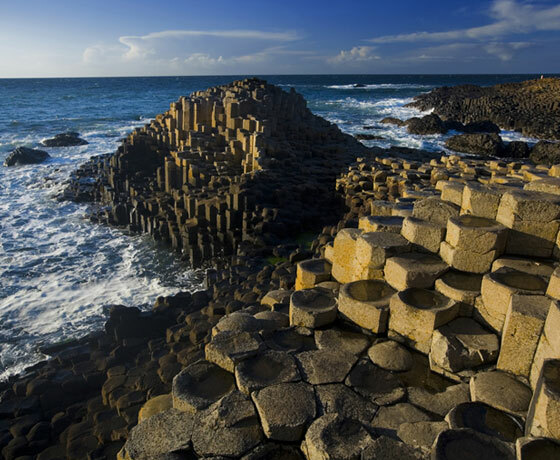 Take a stroll around the beautiful coastline and see if you can find the Giant’s Wishing Chair before you take some pictures of the Giant’s Organ and needle. Return to the Gift Shop for a browse or have a cup of tea/ coffee and a light snack at the Tea Room. 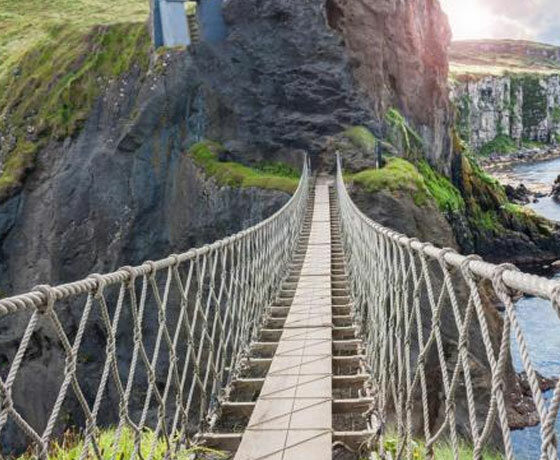 Leaving the Causeway, you can venture across the Carrick-a-Rede rope bridge which connects the mainland with the tiny Carrick Island. 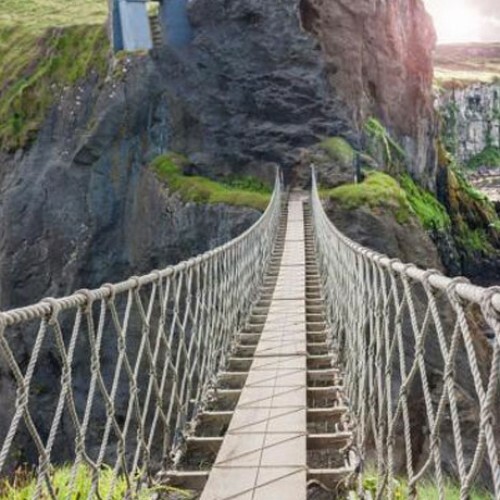 Once safely on the other side, you can admire the cliffs and look across the Irish Sea to Scotland, 12 miles away on the horizon. All in all, the picturesque surroundings will provide the perfect setting for some breathtaking shots. 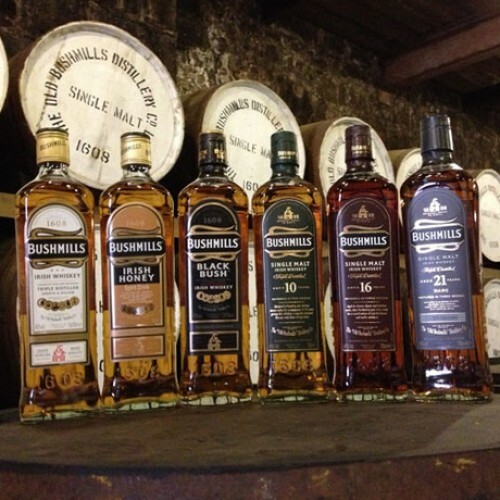 To finish the afternoon, we will take you to the famous, Old Bushmills Distillery where you will get a guided tour around one of the oldest distilleries in the world. Evening – Return to West Tyrone for a 3-course evening meal in a local restaurant, after which you can return to your accommodation and enjoy a relaxing night in outdoor hot tub or let us take you for an evening out. Morning & Afternoon – Then choose your afternoon activity and take a step back into history and journey through time to share two centuries of Irish emigration at the Ulster American Folk Park. Alternatively, visit the Marble Arch Caves, one of Europe’s finest show caves allowing visitors to explore a fascinating, natural underworld of rivers, waterfalls, winding passages and lofty chambers. Evening – Return to your accommodation and spend the evening at a local restaurant or relax in our outdoor Hot Tub. Morning – Enjoy a relaxing breakfast before returning home after an action packed tour. It is possible to alter the standard package or add additional activities. If you wish to design your own package layout: simply complete the Enquiry Form, where you can detail your own package to obtain prices.